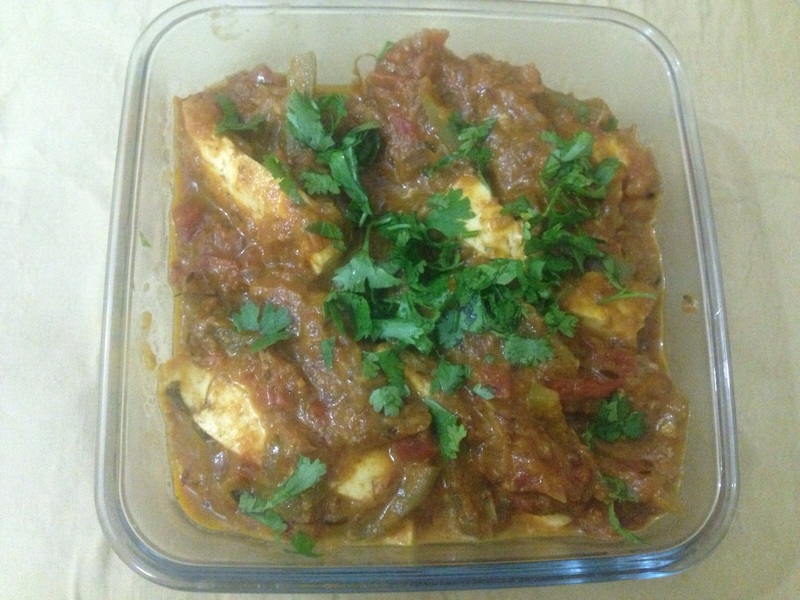 Sumptuous cottage cheese (paneer) chunks and julienned green bell peppers cooked in a slow-simmered onion-tomato gravy, Kadhai Paneer is a popular restaurant main course dish. And with our easy recipe, preparing this delicacy at home is quite simple. So put on your chef’s hat and gear up to take your family by surprise by serving finger-licking Kadhai Paneer. Perfect for parties and formal get togethers. Place a deep frying pan with ghee over medium heat. As soon as the ghee heats up, add the cumin seeds and bay leaf and stir-fry for a few seconds. Crush the ginger with mortar and pestel and add it with the juice to the wok carefully (the juice may make the hot ghee splitter). Stir-fry for a few seconds and then add the chopped onions. Lower the heat a bit and let the onions cook while stirring occasionally till they become transparent. Now add the chopped green chilies and coriander powder and stir. After a few seconds add the chopped tomatoes. Stir to mix everything and let cook for 2 – 3 minutes. Add the tomato puree, lower the heat and stir. Let everything cook till you can see oil separating at sides. This should take about 10 minutes. Now add the julienned bell pepper and toss to coat with the mixture. Let the bell pepper cook on low flame with the mixture for 2 – 3 minutes to soften up a bit. Pour in the water and add the salt to taste. Mix everything and cover the pan. Let everything cook covered on low heat for another 5 – 7 minutes till the bell pepper completely cooks. Uncover the pan and add crushed kasuri methi and garam masala. Stir and then add the paneer. Mix everything gently so that the paneer doesn’t break. Finally add the cream or malai and give the gravy a last stir. Turn off the heat and transfer Kadhai Paneer to a serving dish. You may also serve it within the kadhai itself. Garnish with chopped fresh coriander and serve hot with chapatti, naan or rice.